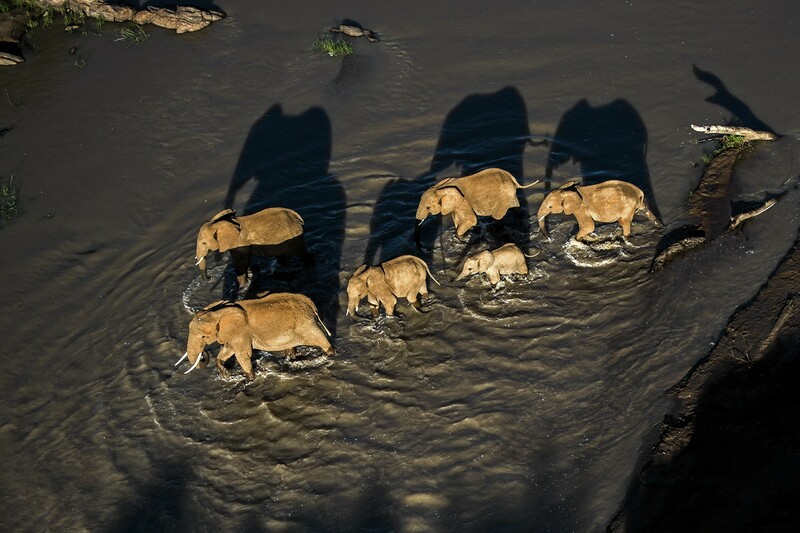 A herd of elephant cross a river at Loisaba Wilderness in Laikipia, Northern Kenya, May 17, 2015. More than 800 elephants spend significant time at Loisaba and the Nature Conservancy is working to conserve this important elephant migratory pathway. Elephants are excellent swimmers and if faced with a strong current, they will use their trunk as a snorkel and then march right across rivers 12 feet deep. Long ago people thought that ancestral elephants may have come out of the seas. A popular myth was that their trunk evolved as a sort of snorkel in more aquatic settings. If you have any questions prior to purchase, please contact me .